A wise man once said: "Why have one cake when you can have several?" I mean I think someone probably said that once....right? 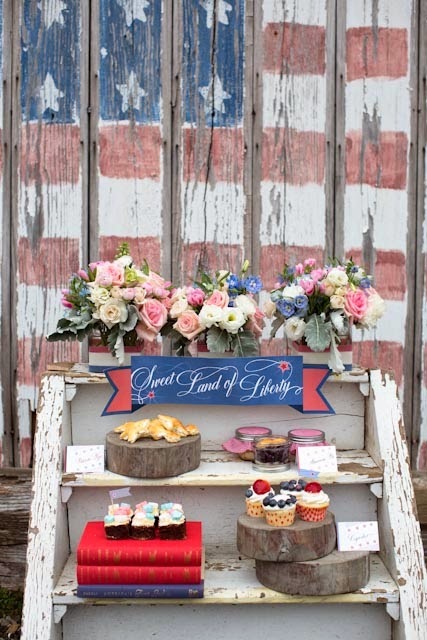 This cake display is precious with the two lovebirds on top of the center cake and darling flags on the others. 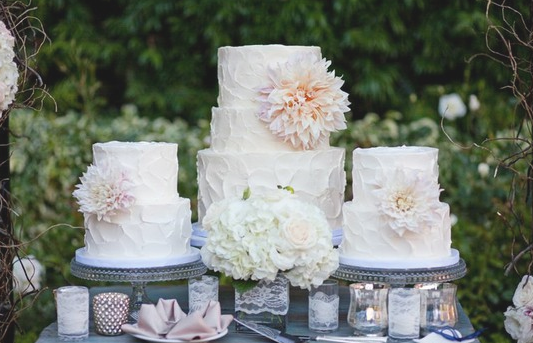 Typically the couple will pick their favorite flavor and cut into that cake for their formal "cake cutting." The cutting cake is typically in the center of the display. I have to say that I absolutely love the "unfinished" cake on the right in the below picture. Plus we've all had a cake where the frosting is too sweet, so an unfinished cake might be just right amount of sugar! The creative display here is amazing - between the balloons and the gold garland, this cake display is decoration itself! 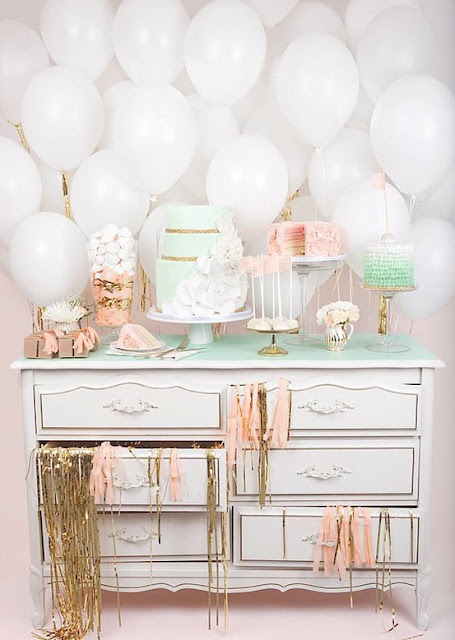 This display shows that while flashy gold streamers are right for some folks, having a simple look with pastel colors and different textures can be just as eye-catching. I'm loving the green cake stands. These white cakes adorned with dahlias are perfect against the lush green background surrounded by votive candles for a romantic look. 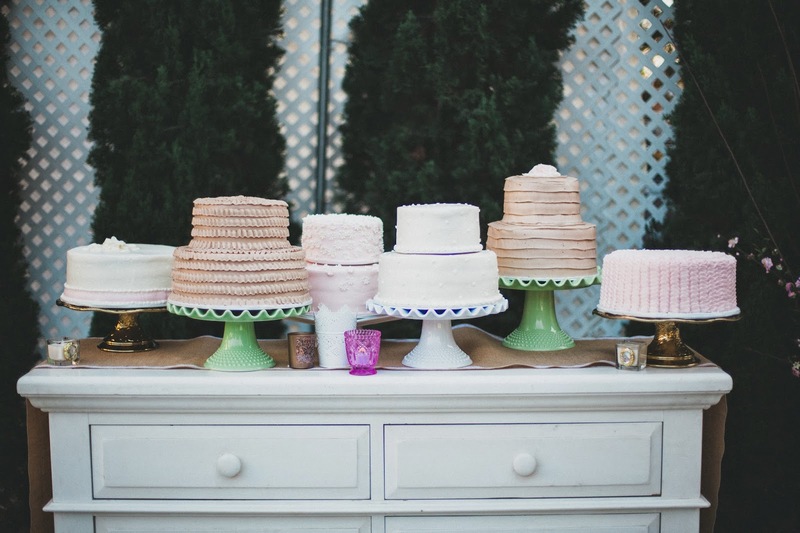 Finally, my latest bride was all about the multiple cake trend. She had 5 different white cakes, all in different textures and flavors. 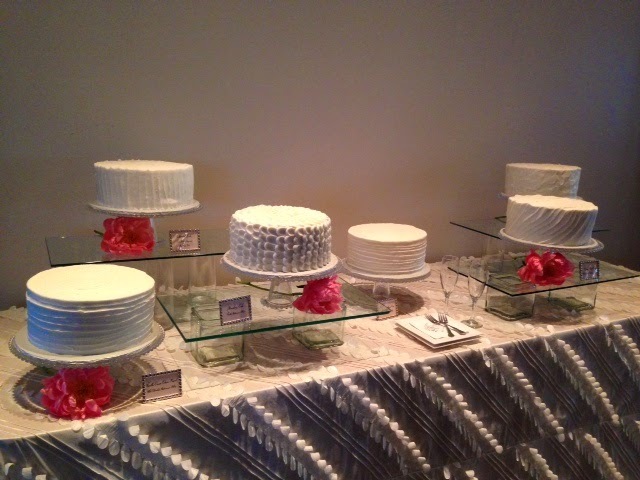 The baker (Angela Sinnett in Charlotte) and I adorned each cake stand with pink peonies to add a pop of color. I loved how it turned out. 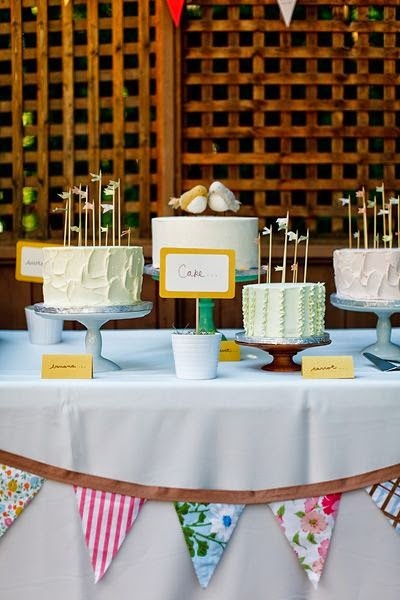 Each cake was labeled with its flavor and I definitely saw many guests trying several of each flavor! 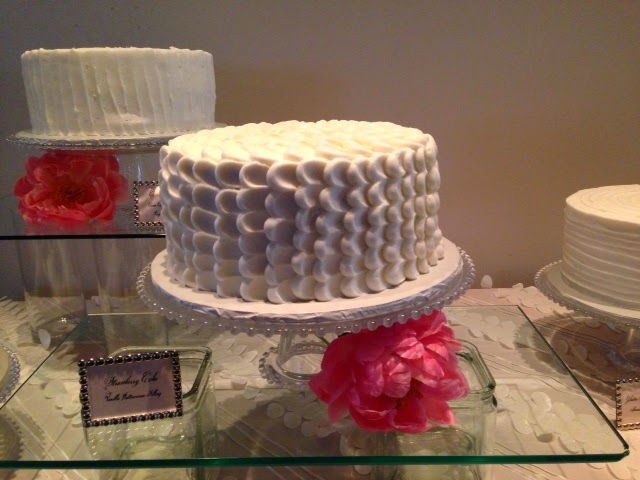 This textured cake was my favorite design. 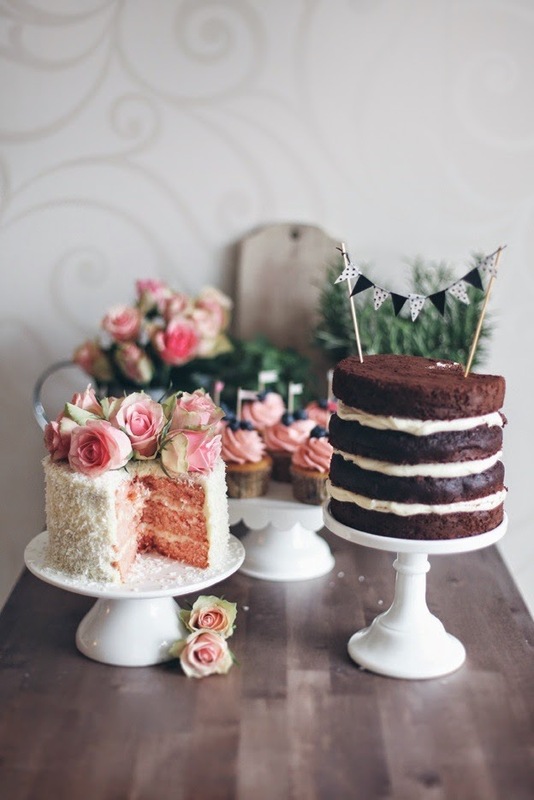 So if you're deciding on cakes, why not display more than one? All the cool kids are doing it! This week I'm working on a photo shoot I'm styling this Saturday. Here's a sneak peek of one of my inspirations photos to get an idea of the theme. If you guessed 4th of July, you're correct! It's going to get all red, white and blue up in my world this week and I'm loving it. Hope you will too! Oh so much lovely inspiration. I just love the one with all the dahlias. It *almost* makes me want to go through the whole wedding process again!